We want you to be happy with your purchase, which is a goal that has kept Alexanian's in business since 1925. 1. If you have made a purchase online and have reconsidered it prior to the shipping notification, you may cancel your order by email (Note: your card will not have been charged at this point, although you may see a temporary authorization). 2. If the order has been shipped, you may still return them for a full refund or exchange. You will have 7 days to return your purchase. When making a return you are responsible for the return shipping costs to Alexanian's. US customers will be responsible for the return shipping, brokerage, and handling costs. Save the original packaging and contact us as we can arrange a courier for pick-up. If you would like to save on the return shipping costs, you can return the product in person to one of our 19 Ontario locations. 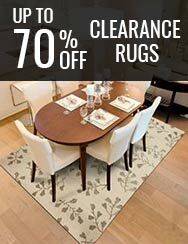 Special order flooring or rugs may be subject to a restocking fee or may not be eligible for return. 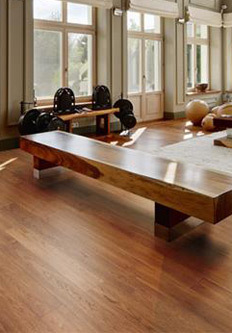 Custom order flooring and rug products are non-refundable. Please email us at estore@alexanian.com or call 1-866-878-2525. If you decide your rug is not the right fit for your home after the 7 day full refund return period, within 30 days you will still be eligible for an on-line store or in-store credit. When returning rugs you are responsible for the return shipping costs to Alexanian's. US customers will be responsible for the return shipping, brokerage, and handling costs. Save the original packaging if you are sending the rug back to us and we will arrange for the courier to pick up the product. If you would like to save on the return shipping costs, you can return the rug in person to one of our 19 Ontario locations. Please advise us by email: estore@alexanian.com or call 1-866-878-2525 with the subject "Rug Return" and note which Alexanian location you wish to return the rug, or let us help you find one that is convenient for you. Please note special order rugs may be subject to a restocking fee or may not be eligible for return. Custom order rugs are non-refundable. Alexanian stocking lines - No charge upon cancellation or return within 30 days. Single cartons/opened cartons are not returnable. 30% restocking charge on material if order cancelled. 30% restocking charge applies on multiple carton/box returns of the same colour and quality within 30 days. No returns for single cartons/boxes or opened cartons/boxes. Note: Minimum return of 3 or more cartons, all cartons / boxes must be unopened and in the original packaging. Alexanian stocking lines - No charge if goods have not been cut to customer’s order, otherwise 50% charge applies. 50% restocking charge on material only if order cancelled and has not yet been cut. When returning hard surface flooring & carpet you are responsible for the return shipping costs to Alexanian's. US customers will be responsible for the return shipping, brokerage, and handling costs. Save the original packaging if you are sending the flooring back to us and we will arrange for the courier to pick up the product. If you would like to save on the return shipping costs, you can return the flooring in person to one of our 19 Ontario locations. Please advise us by email: estore@alexanian.com or call 1-866-878-2525 with the subject "Hard Surface Return" and note which Alexanian location you wish to return the flooring, or let us help you find one that is convenient for you.